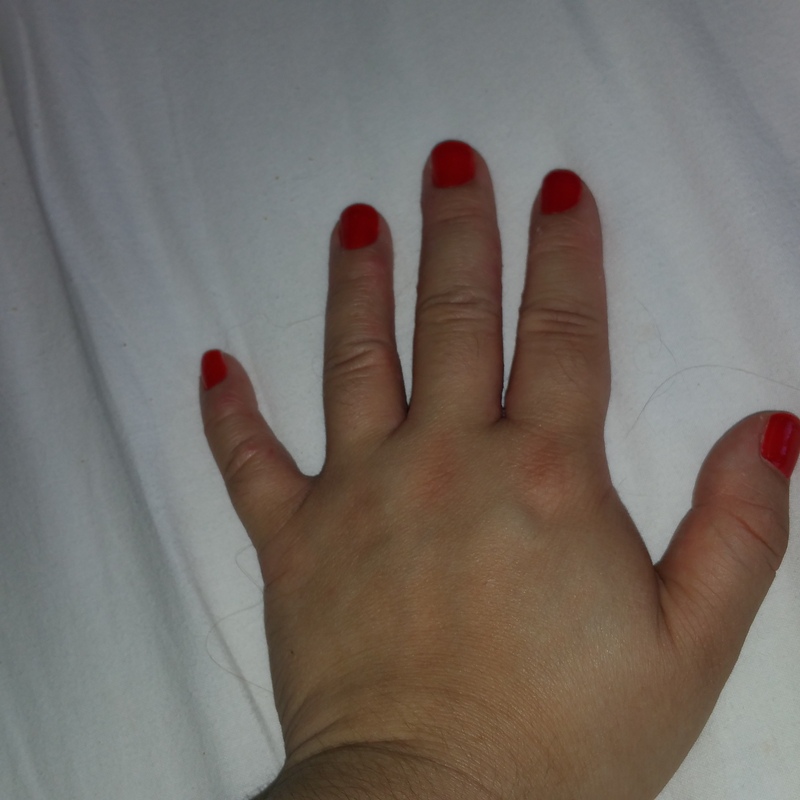 Today I am sharing another polish post. To be quite honest I forgot I had this polish in my collection and it is a beautiful red, orangey colour. Essie’s Clambake. I don’t think the name does this polish any justice. It should be called 40’s Diva or Pinup girl. I love how this polish glided on the nail and it dried really quick. Maybe it dried quick because this polish was really runny. And that is the only downside I would say about this polish because you did need 3 layers of this polish for an opaque look. Saying the last: Loving this polish! I really don’t know why I have not used this polish more this year. For last weeks Thumbs Nails click here.